Completed domestic project – Leicester based. To replace the old, rotten decking with 44m2 of new decking for recreational purposes. 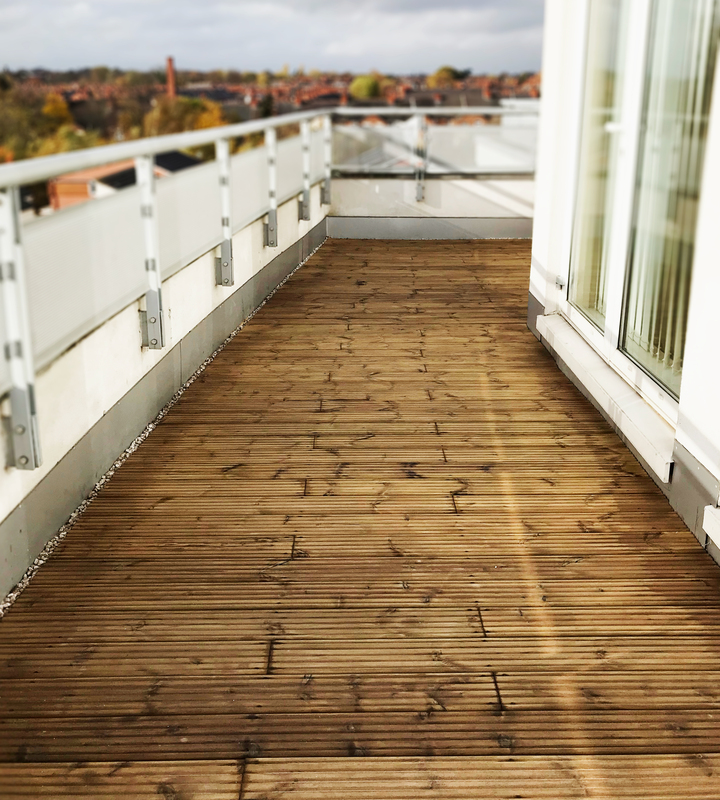 Works for this project were carefully planned due to replacement of the decking being on a fourth floor apartment. 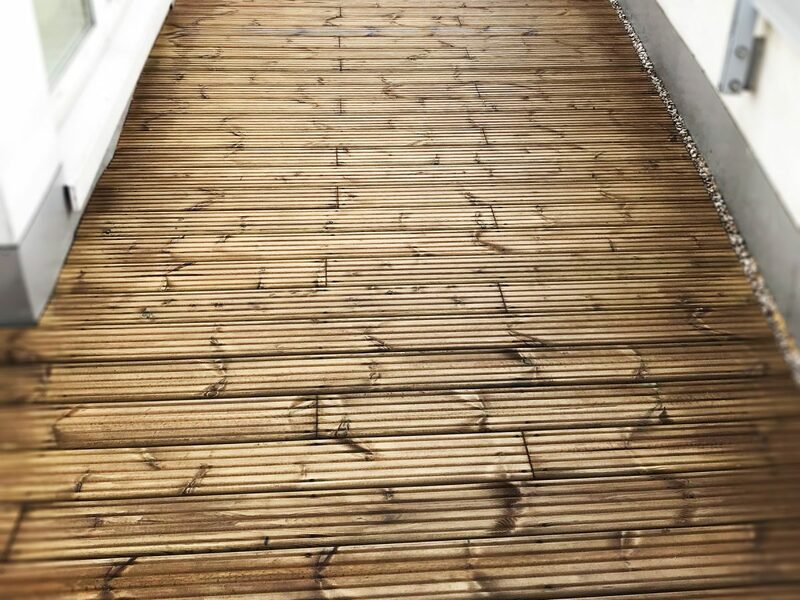 Hoists were used to lower the damaged decking, and to bring up the new lengths of decking. The only other option was to bring it up and down in the lift. 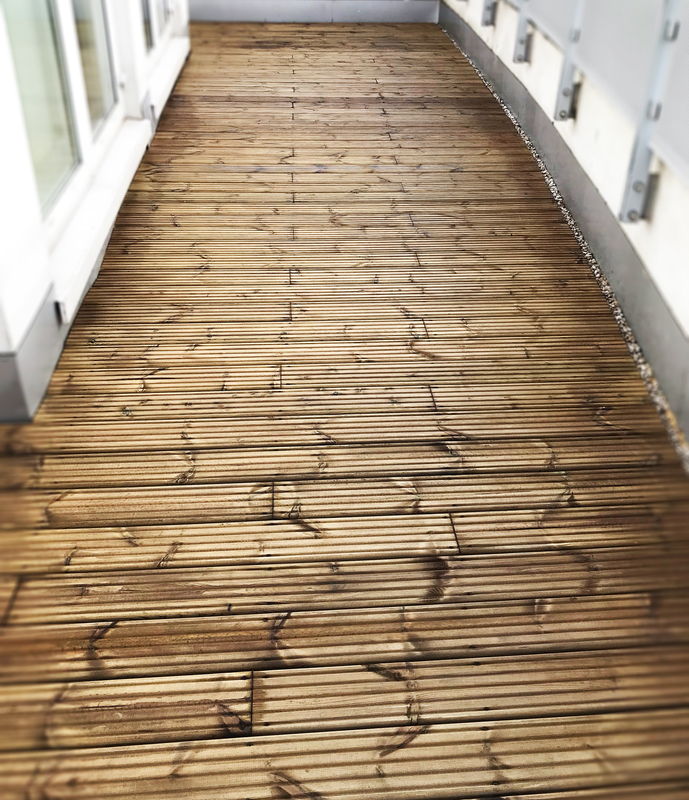 Once uplifted, the drainage was checked to ensure there was no blockages causing the decking to rot. Secondly, the supporting timbers were checked and replaced where necessary. 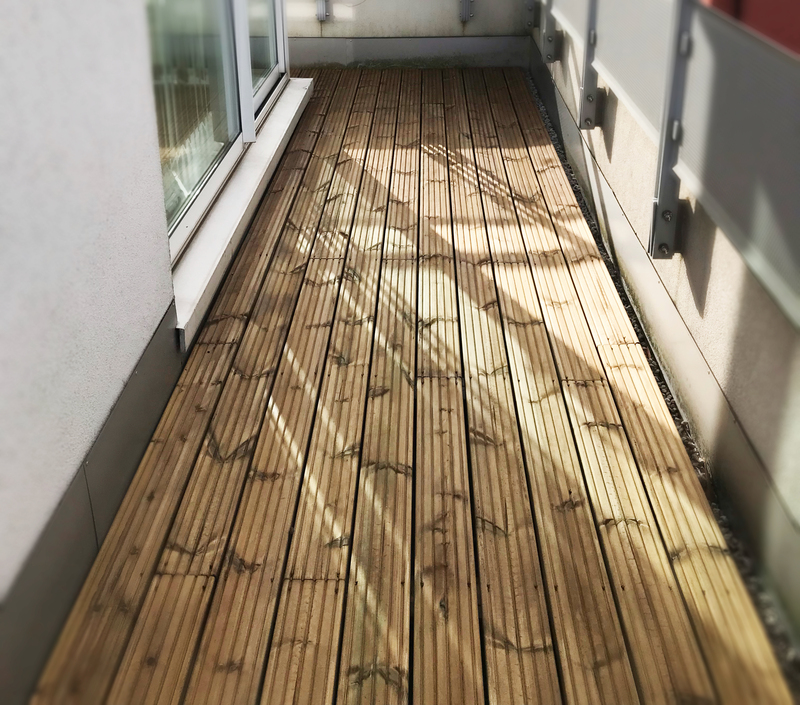 The decking was supplied and laid by our in-house joiners, followed by a coat of decking oil to preserve the timber. The client and tenants were very pleased with the works and meant it could be safely used for recreational purposes once again. Posted in News and tagged with decking Leicester Maintenance .